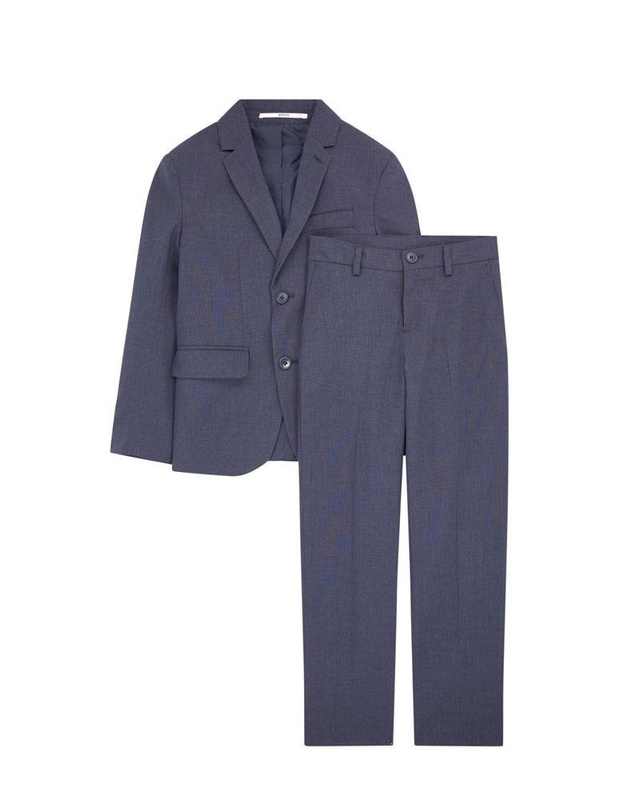 BOSS styish two piece charcoal grey suit with two button blazer. Slim fit. 69% Polyester, 29% Viscose, 2% Elastane. Imported.